My wife only complains when i walk into the house smelling like gasoline, then i just head out for another ride to air-out the smell, the Blackbird does the job quicker than others. Yes, very close, lots of horse farms in the area with winding rolling country roads, little LEO enforcement, very entertaining riding area. 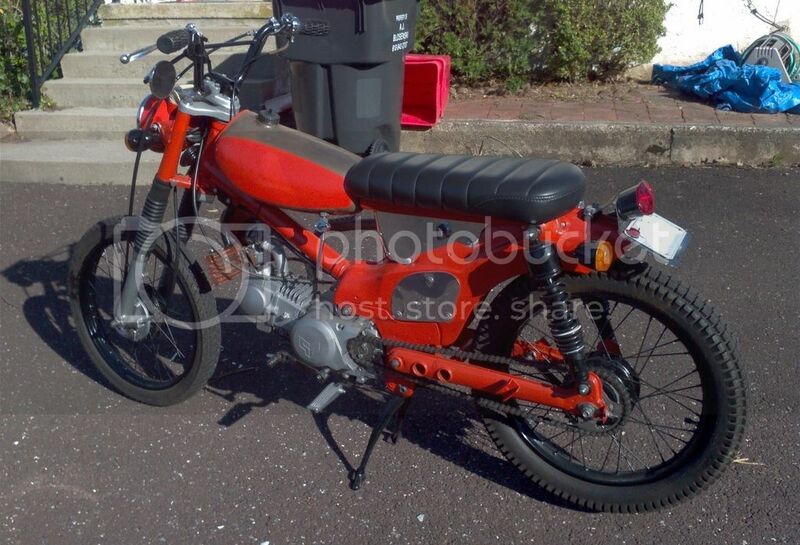 Latest addition to the garage.. replaced the old 1976 Honda engine with a 140cc Chinese unit. Still trying to find an optimal placement for the oil cooler. 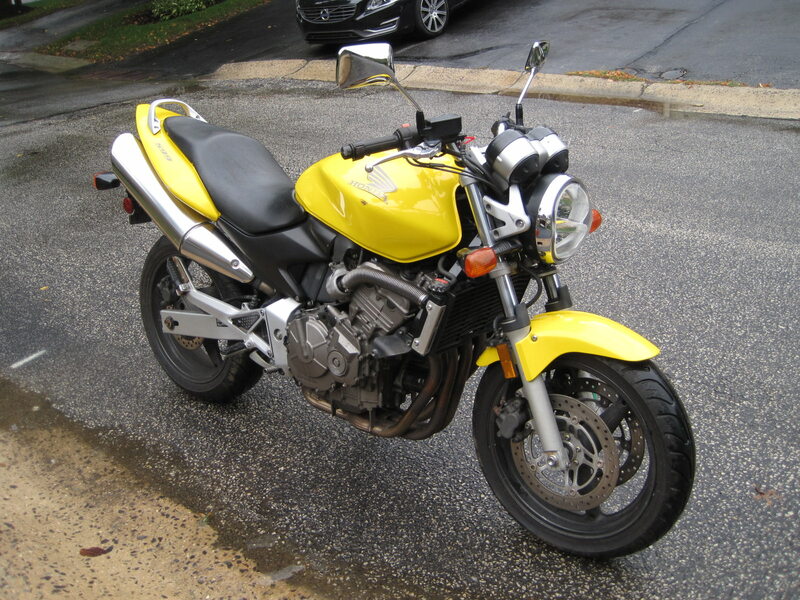 Adding another two-up ride, 2007 Burgman 650, 8k miles on odometer, sat outdoors for a couple of years, cosmetically kinda rough. 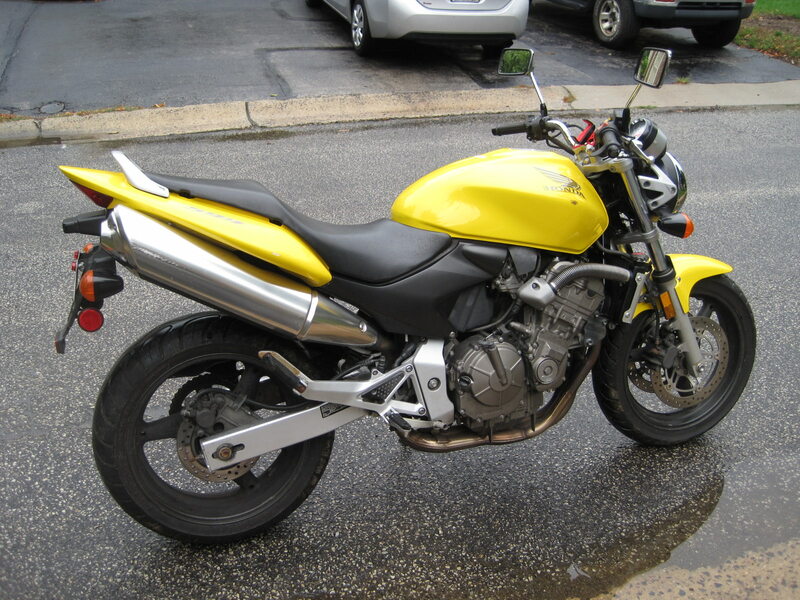 No nearly as nimble as Ninja 250, but the twist-n-go is nice for tight traffic pattern... just not the weight. The weight (600 lb.) 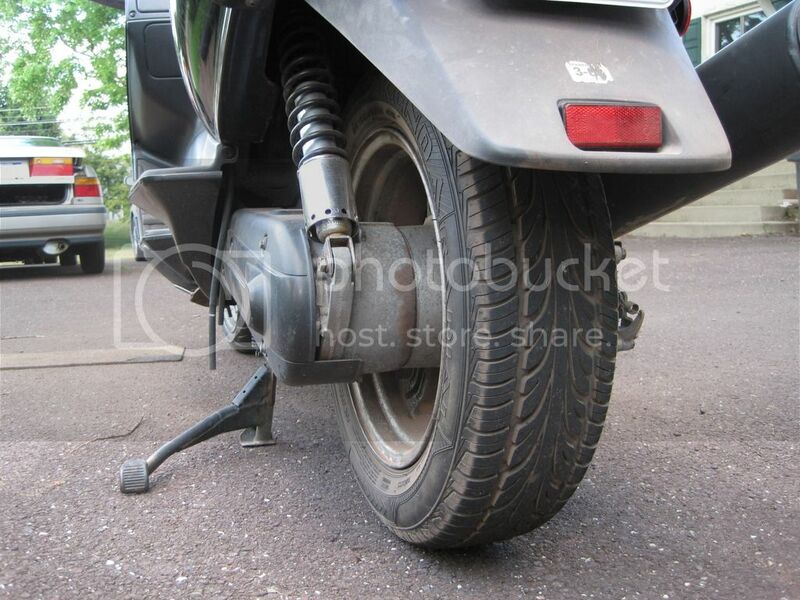 of the scoot is cumbersome when maneuvering by human strength; but under its own power it can outperform most 2-wheel vehicle with higher placement of engine transmission in cornering. 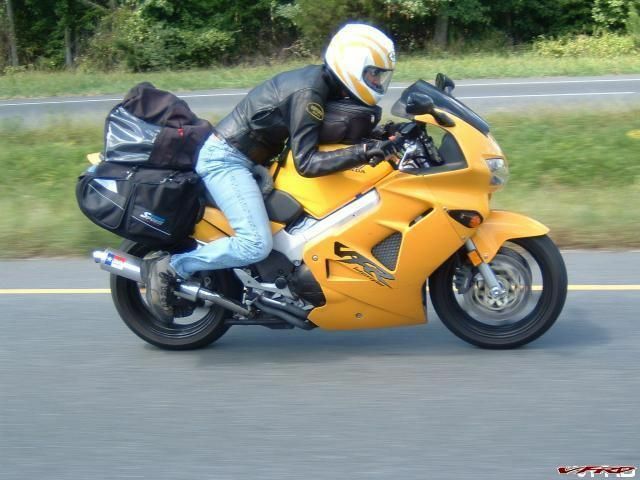 Enough underseat storage for two full face helmet, no need for extra external luggage. It's designated as a 2-up ride for the extra stuff that my passenger need to have along with the ride. I am jealous A, you got a nice collection going with a well rounded rotation. Thanks.. 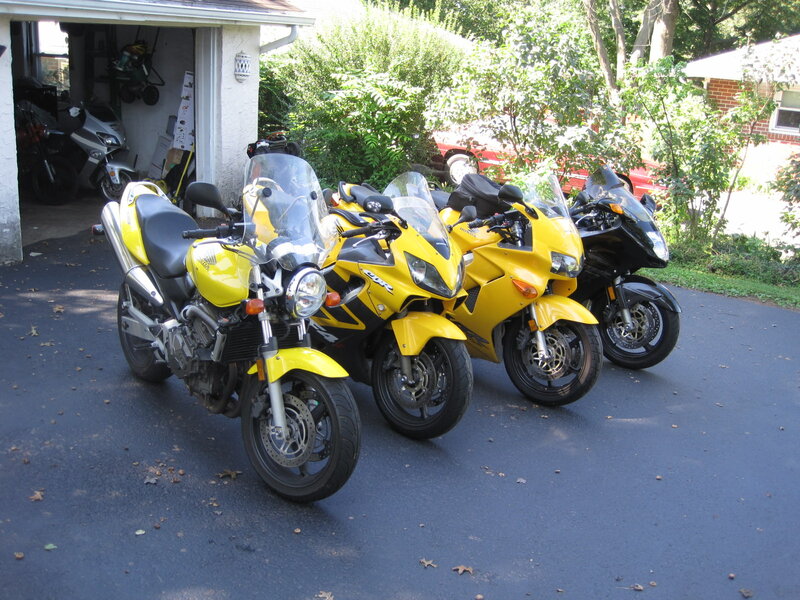 I like variety, no particular rotation of vehicle, just what I find suitable for particular purpose. 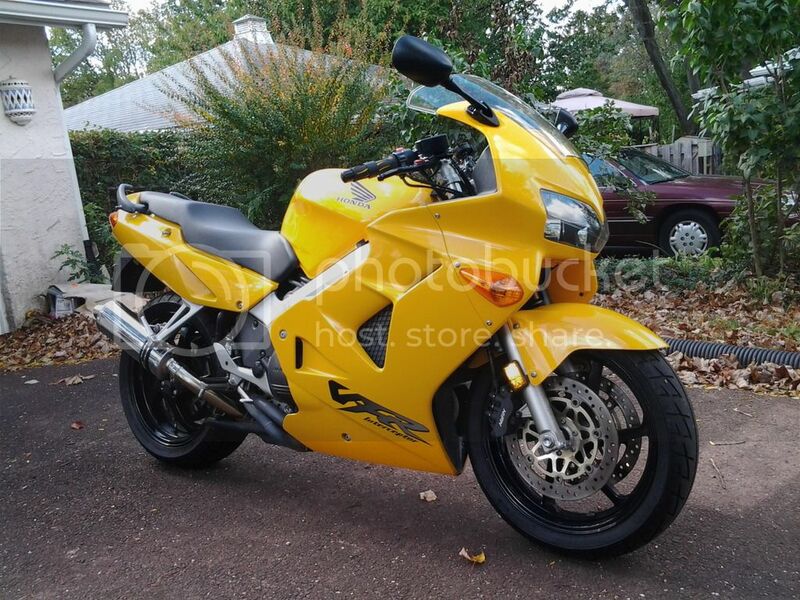 Picked me up another 06 CBR600F4i this past weekend, 4k miles on odometer, minor body damage, unmolested with only a slip-on exhaust. $2k cash, since I was the first person to show up with payment in hand and seller was desperate for $$. I'll probably just turn it for profit in a few weeks. 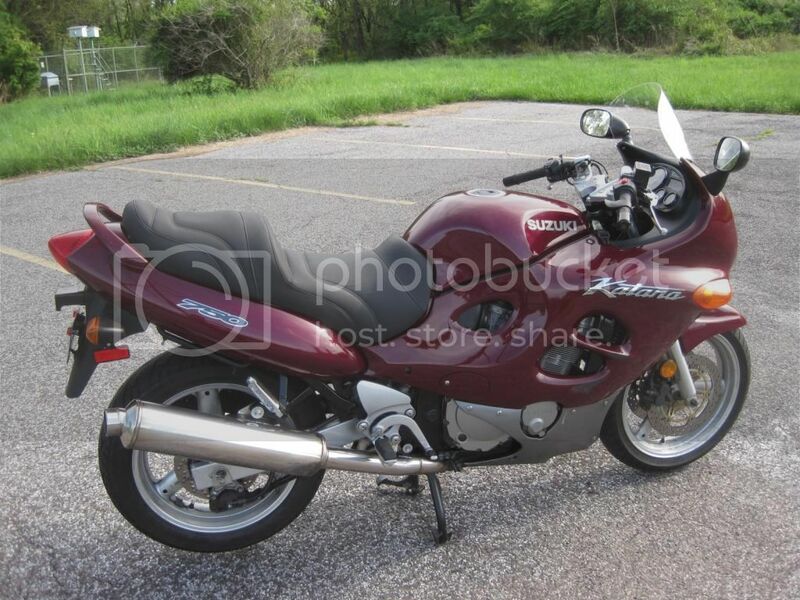 Sold my 99 Katana 750 this weekend. 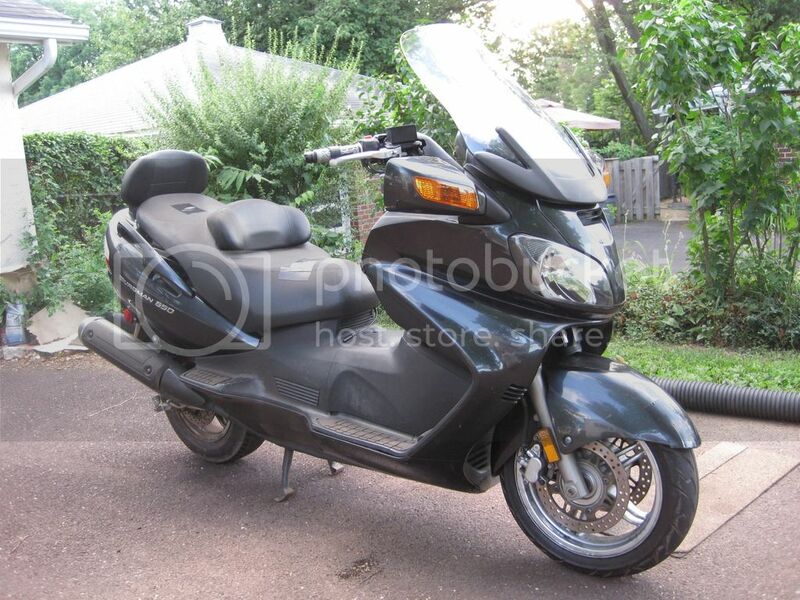 Bought it for $1600 back in 2013 at 9k miles, sold for $2200 w/16k miles. 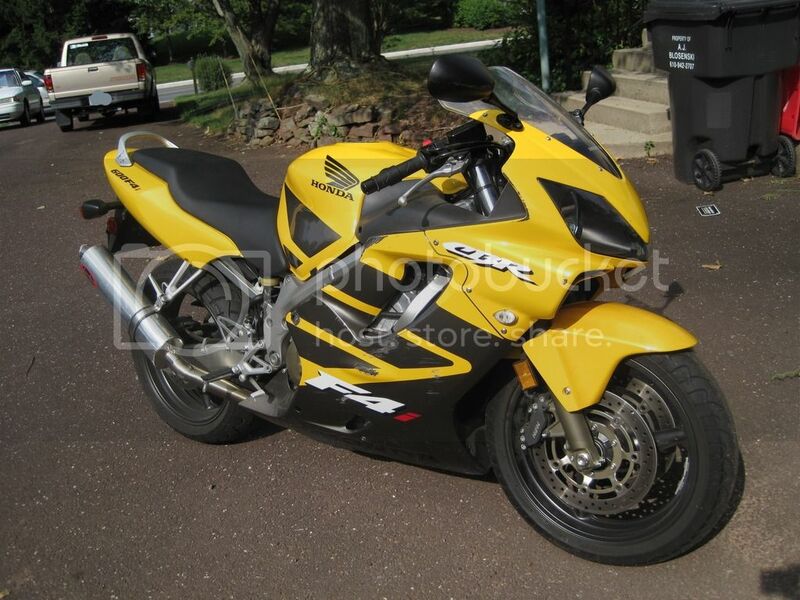 No garage queen but rock solid bike.. heavy, too. 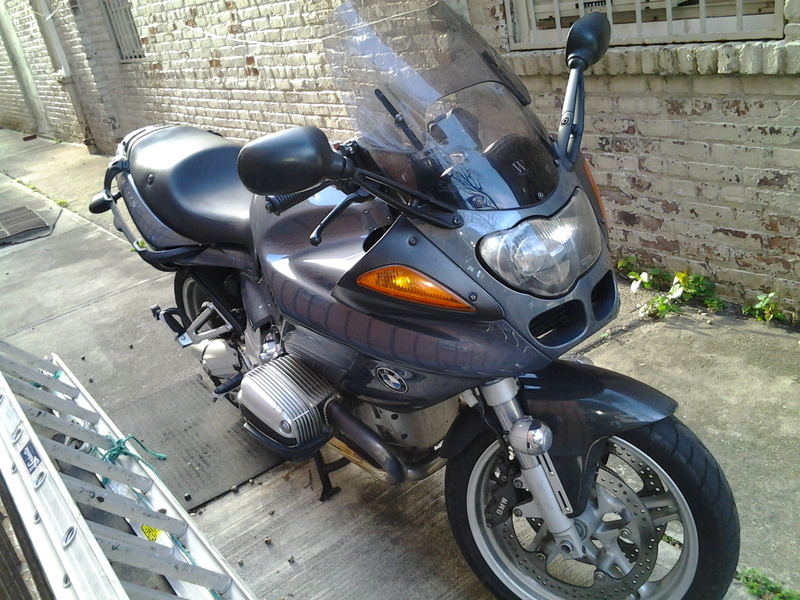 I will miss it once in a while.. like many of my bikes, it needed very little care: fuel, lube and go. Performance of the 750cc air-oil cooled engine is just fine for the streets in capable hands. If I find another one in decent shape and low price, probably will buy again. 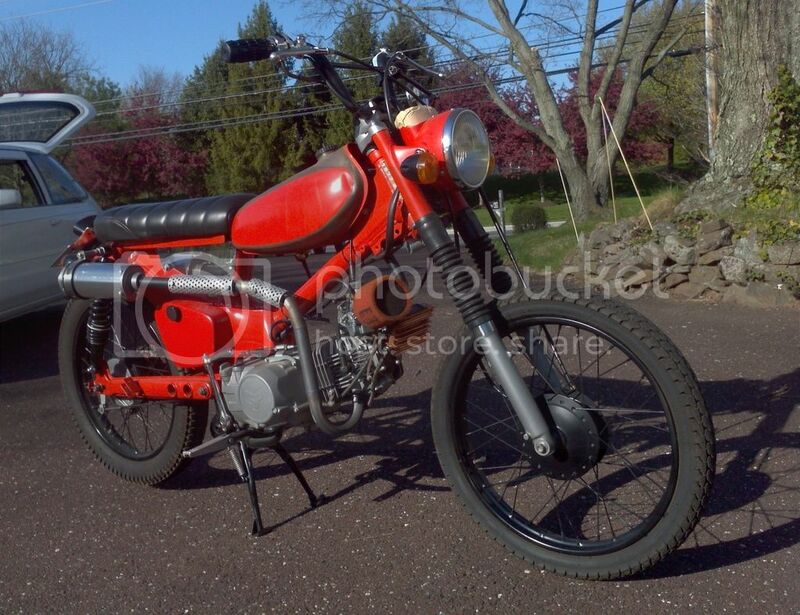 Great bike that cost you $-800. Seems like it worked out. 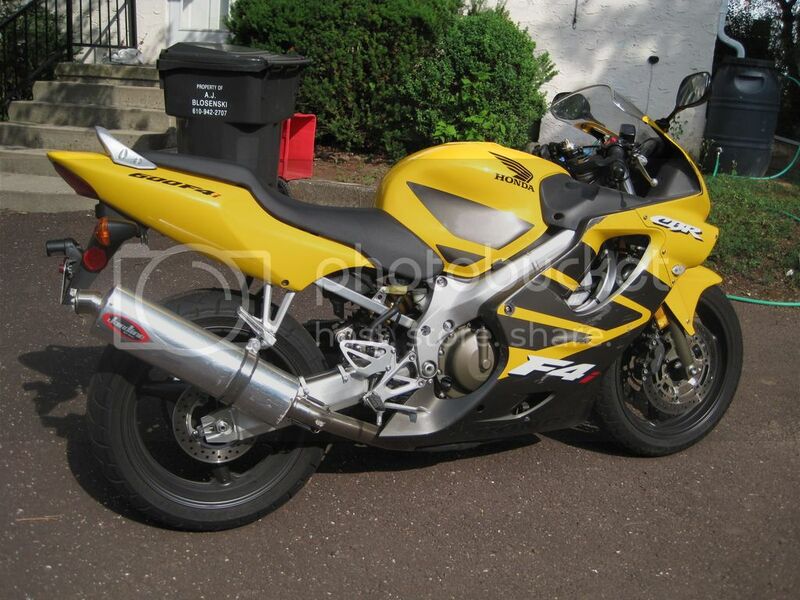 It's been nearly ten years since I last owned a VFR, time to get me another. Last futzed with by "A"; October 15th, 2016 at 06:08 PM. 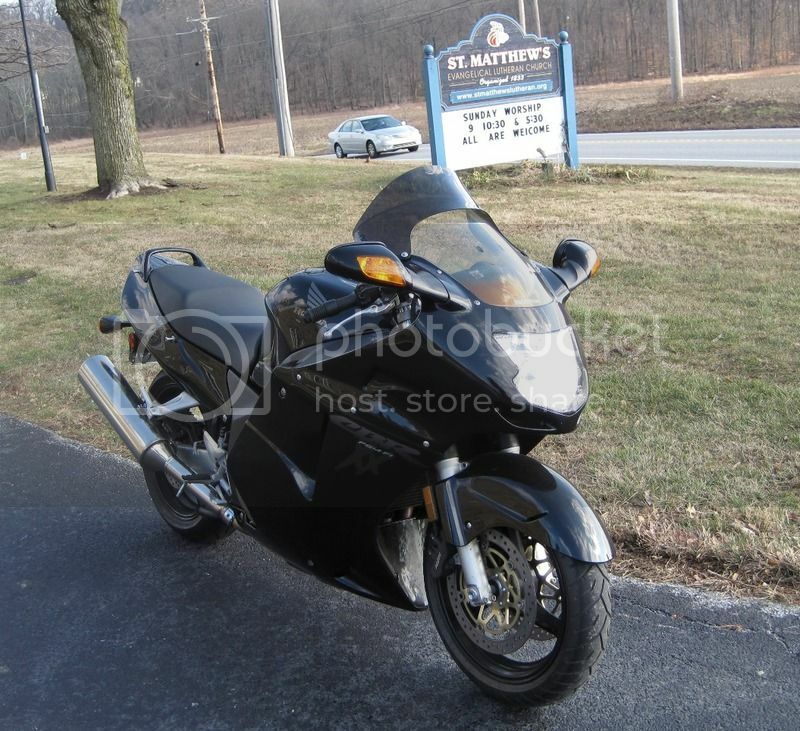 Picked up today: 2000 VFR800 118xx mi. on odo. new tires, needs chain/sprocket, brake/clutch fluid changed. I love the way a V4 motorcycle sounds. Not sure on how it looks though. 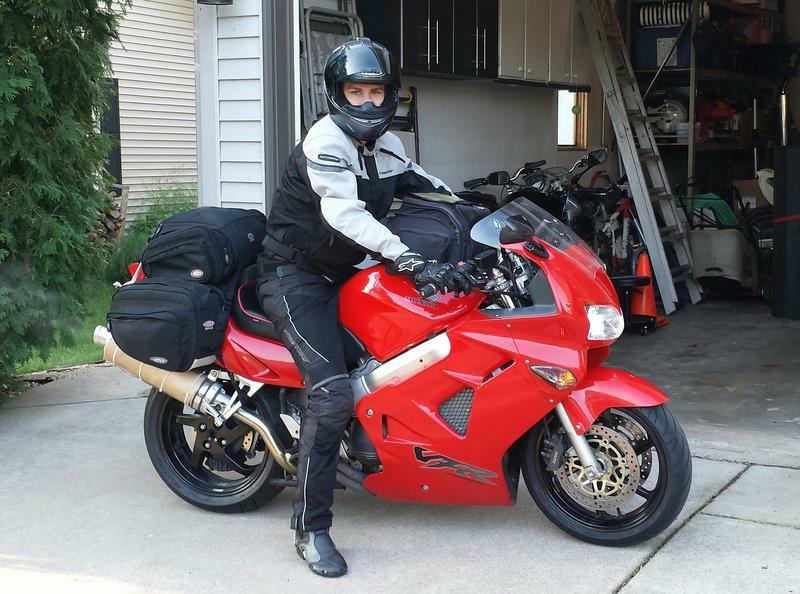 Gear driven cams and V4..
Once you put your legs over the bike, you can't even see much of the bike..
On his way back to WI right now. 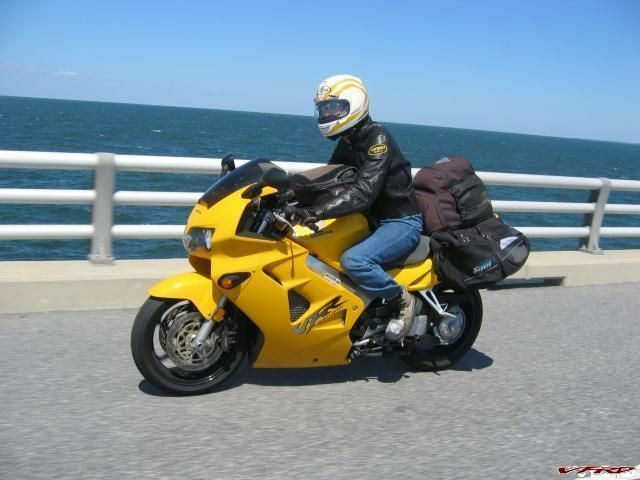 Your son must be tiny to fit inside those saddlebags!!! I wondered why I had all those extra screws left over. I'm no master mechanic, but when I take apart something, I keep track of which bolt came from where.. at least put everything that came off the bike back on. Missing bolts just indicate that someone didn't pay attention. It's been nearly one year since my last moto purchase. Nice! Enjoy your new-to-you bike! 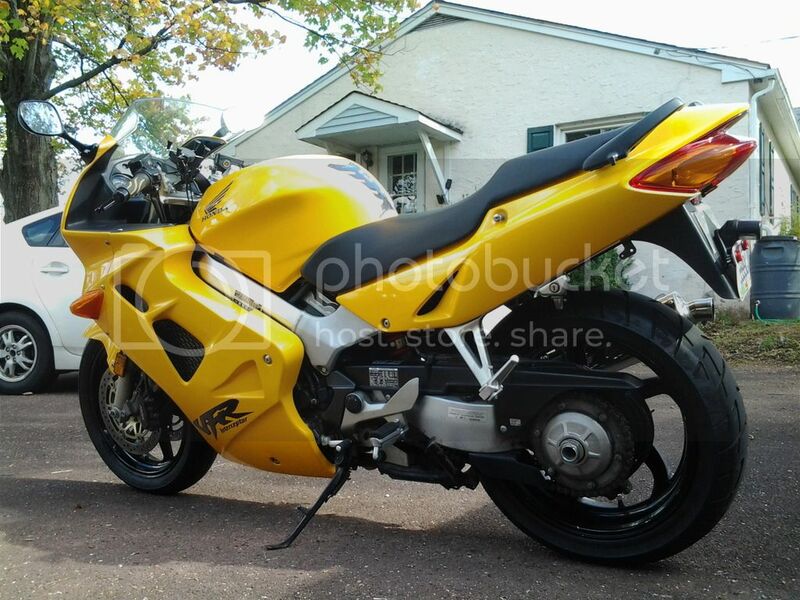 I sold my 04 Ninja 250 to a friend for his son to start riding motorcycle, the Honda 599 will be a replacement commuter for NYC metro. Hard to beat a pre-gen Ninja for filtering thru gridlock traffic at walking pace, I will see how well this inline-4 holds up after a months. Last futzed with by "A"; October 26th, 2018 at 08:00 PM. You need to line them up from yellowest to blackest. 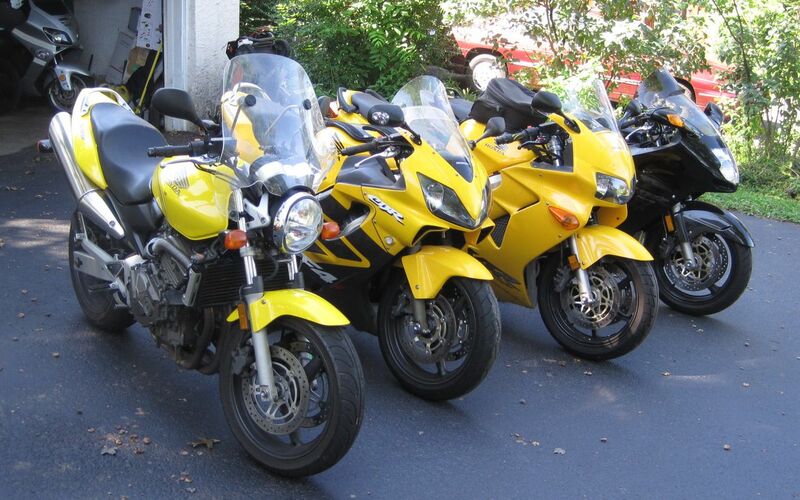 Or if you just park the CBR between the VFR and the Blackbird it would look like the two big bikes gave birth to the CBR. Hey, you didn't put the scooter in the line up. 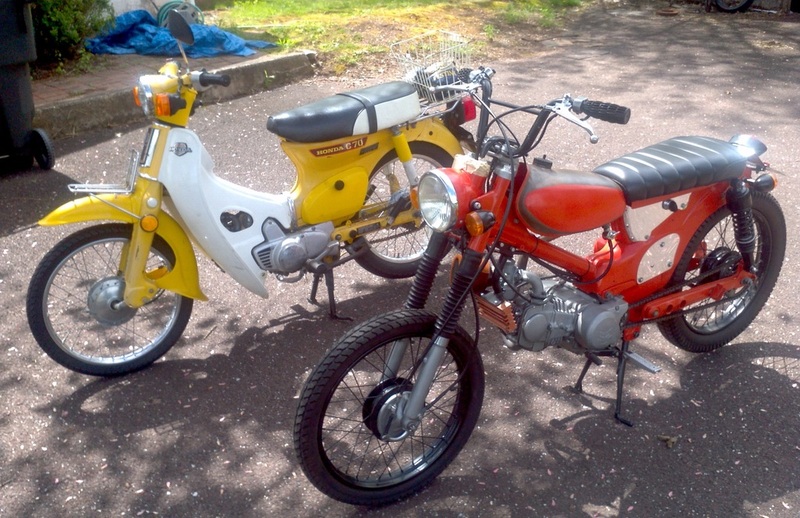 Scooters I have are not 100% Hondas, with exception of the 82 Honda C70, the other two: one is a Chinese clone of Honda Reflex/Helix, the other is only a 77 Honda C90 body with a Chinese 125cc pitbike engine.